Available on any Linux OS! Host unlimited sites with cPanel license. Register your .COM name at affordable price! Free domain registration on selected products. We use latest cloud technologies. All our servers are DDoS Protected, for FREE! 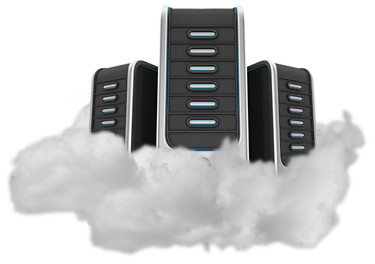 With any hosting package, you will benefit from using Softaculous, one-click install. With all of our unlimited plans you have the ability to host as many domains as you wish. Our prices are incredibly affordable and every plan includes an incredible list of features. Our team is always there for you, whenever you need us, just drop us a line. We promise 99.9% network uptime, whenever you encounter downtimes, feel free to request refund. We offer 45-days no question moneyback guarantee. If you are not happy with us, we will provide you with full moneyback. I am new to buy web hosting and I must tell you, the quickness and willingness to help me get going in web hosting is refreshing. From the billing department to the support department, every contact I have had with buy web hosting has been a pleasure. The thoughtful, caring, and professional service of the support staff was even available in the evenings and on the weekend. I am very impressed! I have been with many different web hosts over the years and I'm voluntarily writing this review because I am really happy with Buywebhosting. If you have a WordPress or similar site, and are looking for the most features for the lowest price, they are your solution. My first impression of Buywebhosting has been great. My business website has been effortlessly going very well. The support on my hosting is always helpful. I recently had utilized the live chat support. The support person was professional and handled my issue without any problems. I am really enjoying the features on this hosting provider.